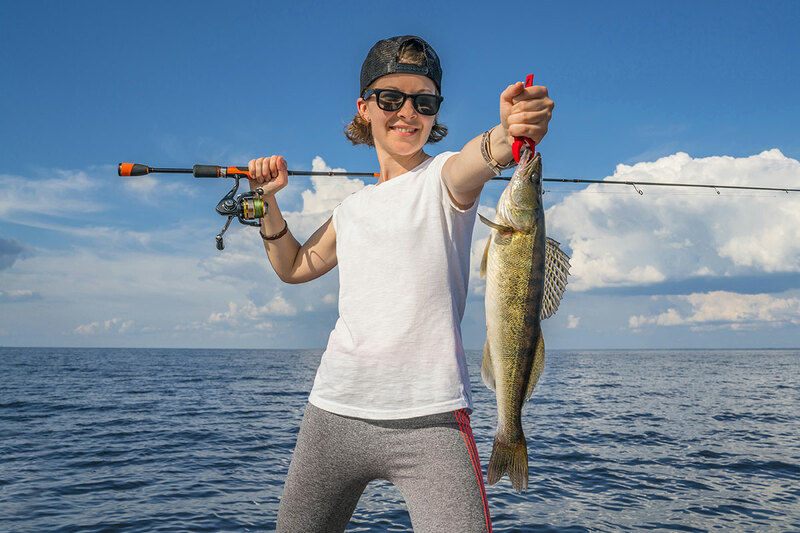 Saginaw Bay walleye were caught off Linwood in 16 to 18 feet, Gambill’s Landing in 17 feet, the Spark Plug in 17 to 20 feet, Spoils Island in 17 feet and off Jones Road in six feet. Some are still jigging while others are switching to crawler harnesses. 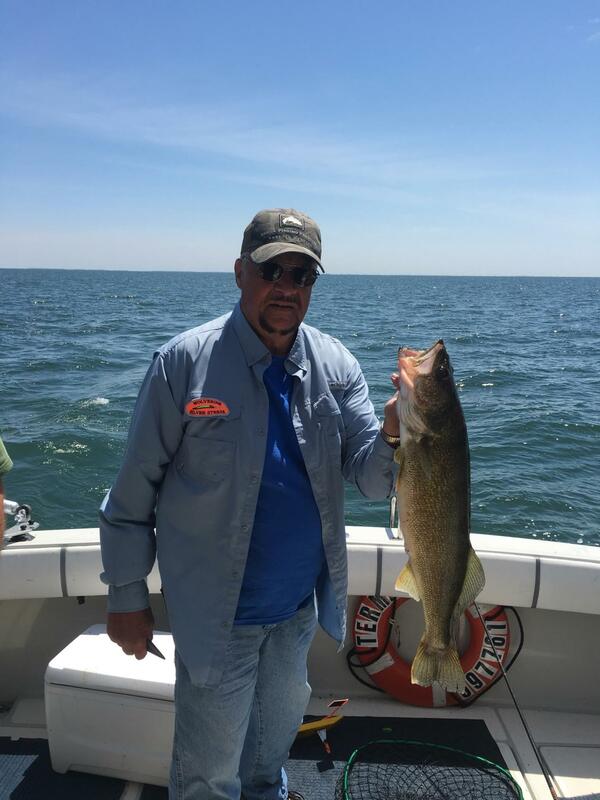 When the winds allowed, walleye fishing was very good off Quanicassee with limit catches reported in seven to nine feet in the morning or in 12 feet on the Coryeon Reef and 15 feet in the Slot. 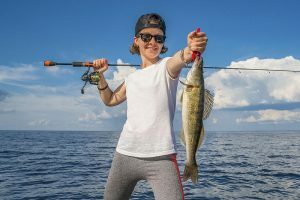 Sebewaing had no boat activity but shore anglers at both Caseville and Sebewaing caught the occasional walleye, catfish, freshwater drum or smallmouth bass. At Port Austin, catch rates were slow for those trolling. Pier anglers caught a few Atlantic and one coho when casting Cleo’s. Smallmouth bass were caught and released. 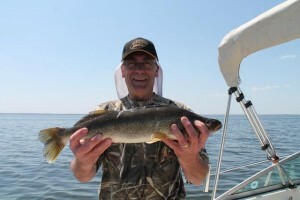 At Grindstone City, a few lake trout were caught on cut bait in 50 feet. Tittabawassee River is still producing some walleye including a few limit catches even as the action slows. Most of the fish caught were males. Anglers did well upstream of the Center Road launch, the Railroad Bridge, Coty’s Landing and Imerman Park when using body baits or jigs and crawlers with light line. 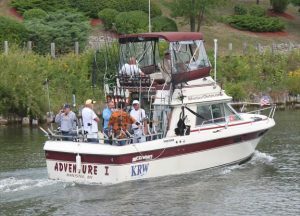 Au Gres Area of Saginaw Bay had lots of boating activity. Some caught walleye in 15 to 40 feet off Pinconning or Palmer Road when trolling husky jerks, bottom bouncers and crawler harnesses. Au Gres River those fishing near the Singing Bridge were casting for the steelhead and walleye. Oscoda pier fishing has started to bring in a mix of steelhead, lake trout, walleye and suckers. Anglers are using body baits, spoons, jigs and worms. 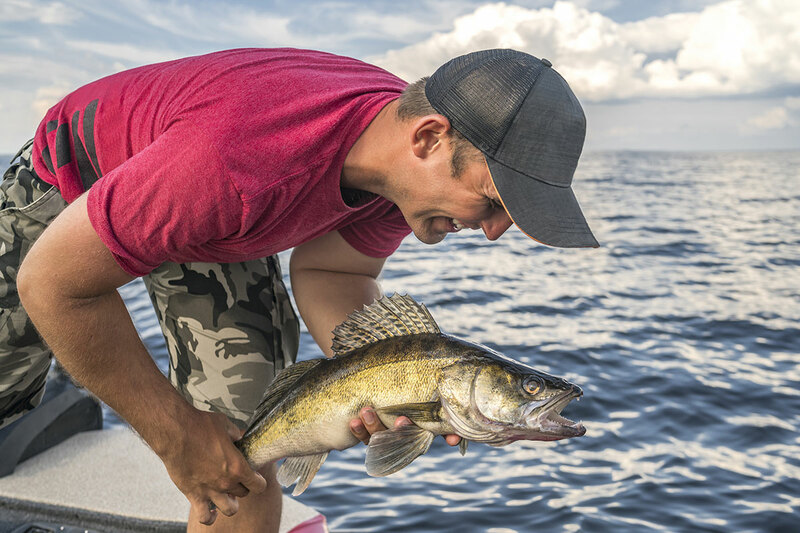 Walleye are starting to come in, in good numbers and fish are being caught at all times of the day and night. Au Sable River look for steelhead to be up on the beds. Over the last week fish have started to move up river and look very fresh. Tawas Area those trolling have caught Atlantic salmon, brown trout and walleye when using husky jerks and rapalas in 20 to 40 feet. Pier anglers reported no minnows so no perch. A few walleye and Atlantic salmon were caught in the evening. Tawas River was slow with only the occasional walleye, sucker or catch and release smallmouth bass reported. Weekly Fishing Tip: Trout season has arrived! Trout season officially opened a few weeks ago on Michigan’s inland waters and early season fishing can be quite good. Many anglers successfully swear by dead drifting worms this time of year due to the cold spring waters temperatures, but those heading out fishing should not overlook spinners or small shallow diving crank baits either. 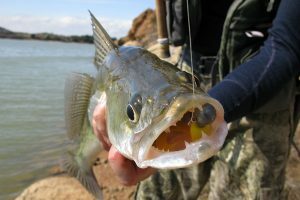 Worms are deadly in the early season but lure fishing can also be very effective at bringing up a big fish from its deepwater lair under a log or under a cut bank. To learn more about fishing for trout in Michigan, check out these links highlighting the specific species.